Grandmaster Aiping Cheng first began teaching Tai Chi in Connecticut in 1996. 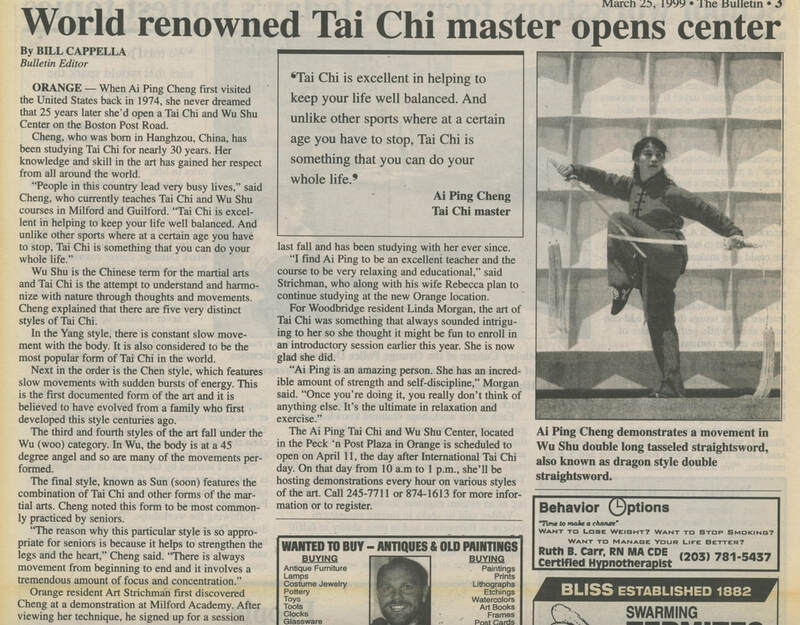 In 1999, she opened the Aiping Tai Chi and Wushu Center in Orange CT and began training students of all ages in the traditional Chinese martial arts of tai chi and wushu kung fu. Our school quickly outgrew the original location in the Peck n' Post Plaza. We moved to a larger location in Orange and changed our school name to Aiping Tai Chi and Wu Dang Kung Fu Academy. 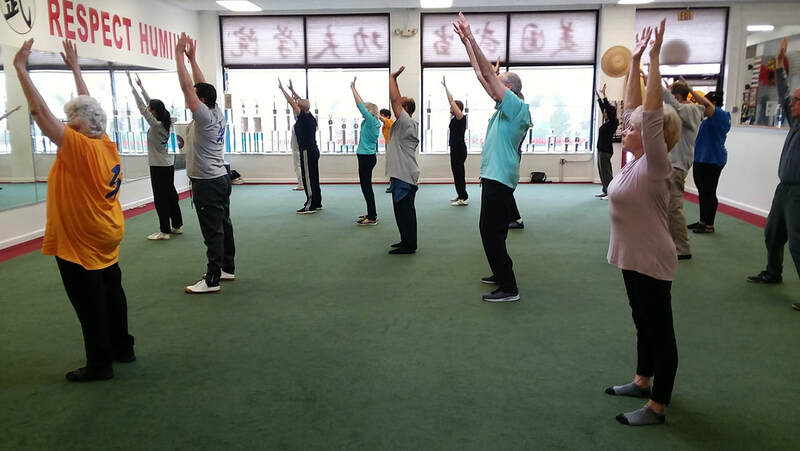 Aiping Tai Chi and Wu Dang Kung Fu Academy became the largest and most distinguished Chinese martial arts school in Connecticut. Our students were invited to perform at the United Nations and won numerous national and international competitions in the United States and in China. In 2008, Grandmaster Aiping Cheng retired from teaching wushu and Master Jack Guo established the Wudang Kung Fu Academy located at 518 Boston Post Rd in Orange, CT. Our wushu students followed Master Jack to continue their wushu kung fu studies. 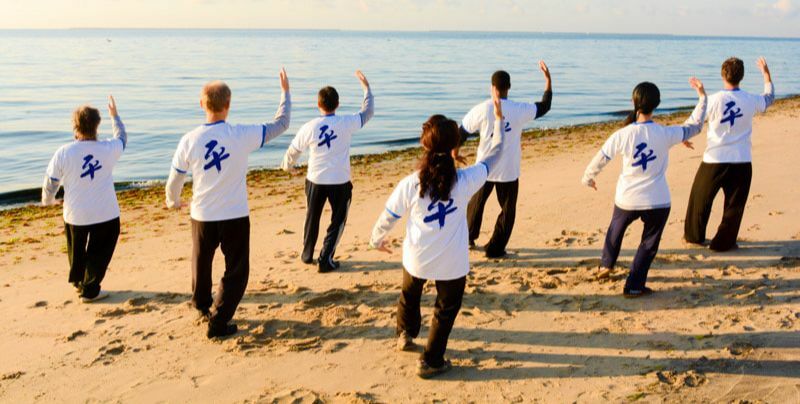 The Aiping Tai Chi and Qigong Center was established inside Woodhouse Academy in Milford CT and our school focused our teachings on internal martial arts. After eight years of separation between Aiping Tai Chi and Qigong Center and Wu Dang Kung Fu Academy, in 2016 our two schools reunited again. 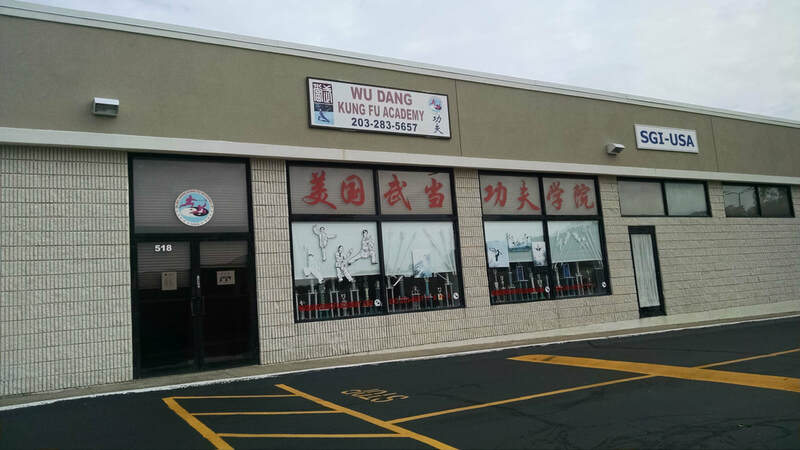 We moved our school inside Wu Dang Kung Fu Academy located at 518 Boston Post Road, next door to Applebee's. We also simplified the name of our school to Aiping Tai Chi Center. In 2017 Grandmaster Aiping Cheng moved to Austin, TX. 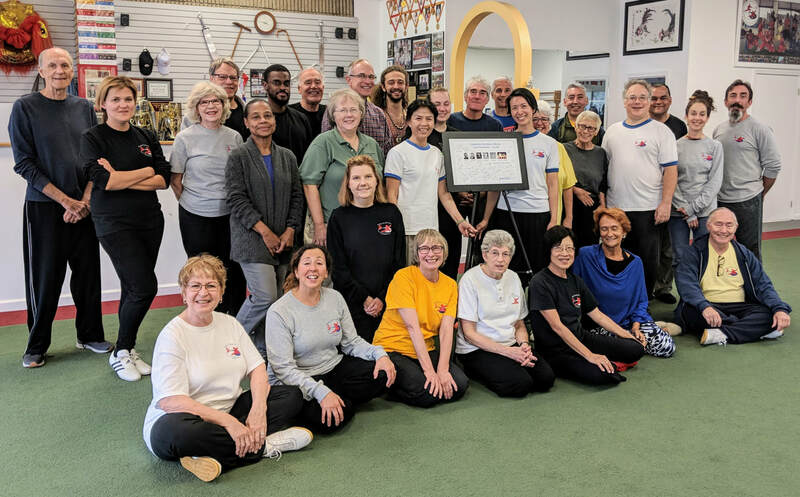 Aiping Tai Chi Center in Connecticut was passed down to her disciples Shifu Shirley Chock and Shifu Jonas Karosas to continue her legacy. 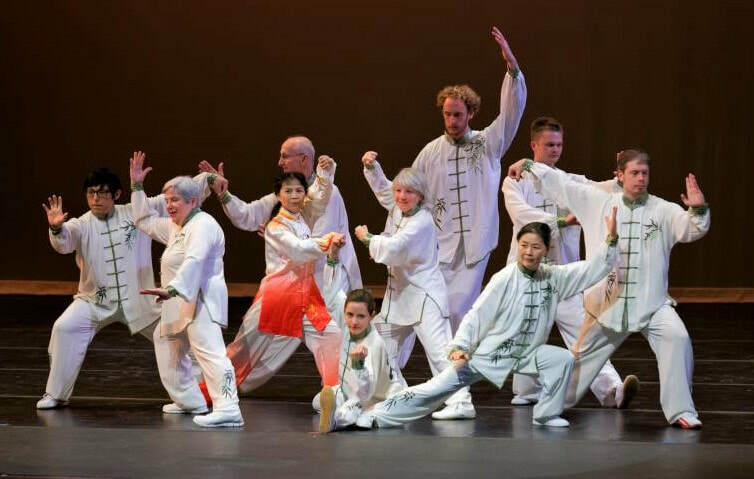 In 2018 Grandmaster Aiping established Aiping Tai Chi Center - Austin inside the Asian American Cultural Center located at 11713 Jollyville Rd in Austin, TX.